Thu., April 13, 2017, 5:09 p.m. The relationship Seahawks general manager John Schneider has from previously working with Raiders GM Reggie McKenzie may indeed pay off for Marshawn Lynch. And for Seattle. Ian Rapoport of the league-owned NFL Network reported Thursday that Seattle and Oakland are expected to eventually agree on a trade of the retired running back to his hometown Raiders so he can un-retire and play for Oakland in 2017. 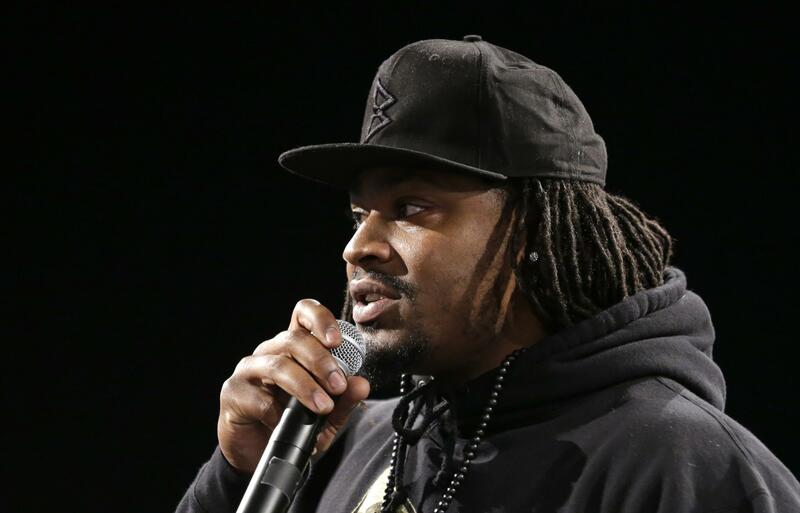 The trade is contingent upon the Raiders reaching an agreement with Lynch on a new contract. That would free the Seahawks of his $9 million salary-cap charge for this year should he play for Seattle. This NBA-style sign-and-trade deal would save the Seahawks having to release their former Super Bowl-winning cornerstone, with him still technically owing his team from 2010 through ’15 signing-bonus cash of $2.5 million. A trade would keep Seattle from having to decide whether to press Lynch, on principle, to actually repay the money. McKenzie and Schneider worked together with the Green Bay Packers, even sharing an office ‘for probably eight years,’” Schneider noted recently in a radio interview with Seattle’s 710-AM. It’s a coup for the Seahawks that Schneider could get anything more than a bag of kicking tees from the Raiders in a trade for Lynch. Oakland could ignore Seattle’s trade ideas and simply wait for the league to act on a request for reinstatement from Lynch, if he truly wanted to play again in 2017. That would put Lynch’s $9 million charge for this year, from his existing contract he signed two years ago, onto the Seahawks’ cap. A trade of Lynch would most likely to net the Seahawks a conditional, late-round draft pick from Oakland. That would depend on how the about-to-be-31-year old performs for the Raiders this fall. He hasn’t played a full season since 2014. Any contract he and his agent Doug Hendrickson work out with the Raiders is likely to be full of incentive bonuses. The sign part of this sign-and-trade would benefit Oakland because it could get Lynch at a low-risk, short-term deal much more to the Raiders’ liking than his current contract with the Seahawks. Seattle has retained Lynch’s contract rights while he’s been on its reserve/retired list through 2017 under the contract extension he signed before the 2015 season. That deal included a $7.5 signing bonus. Lynch would be, according to letter of the league’s collective bargaining agreement, subject to paying back to the Seahawks the 2016 proration on that signing bonus. That is a sum of $2.5 million, for the season he was retired. Published: April 13, 2017, 5:09 p.m.